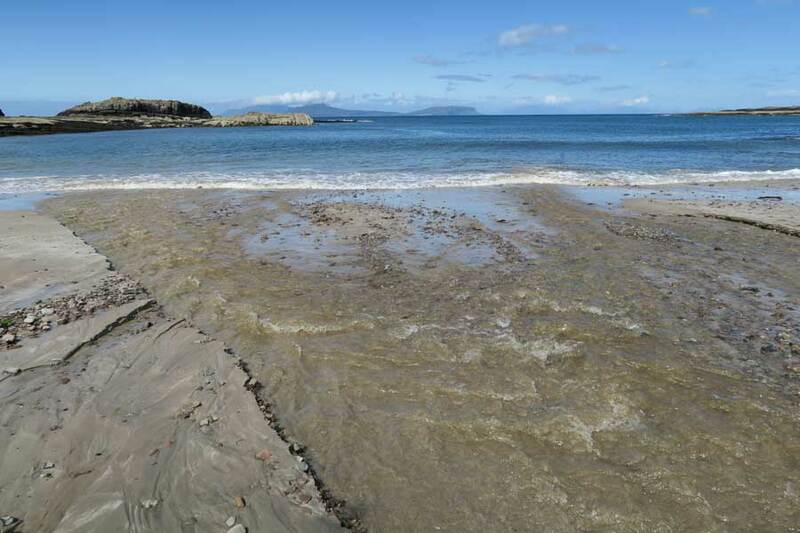 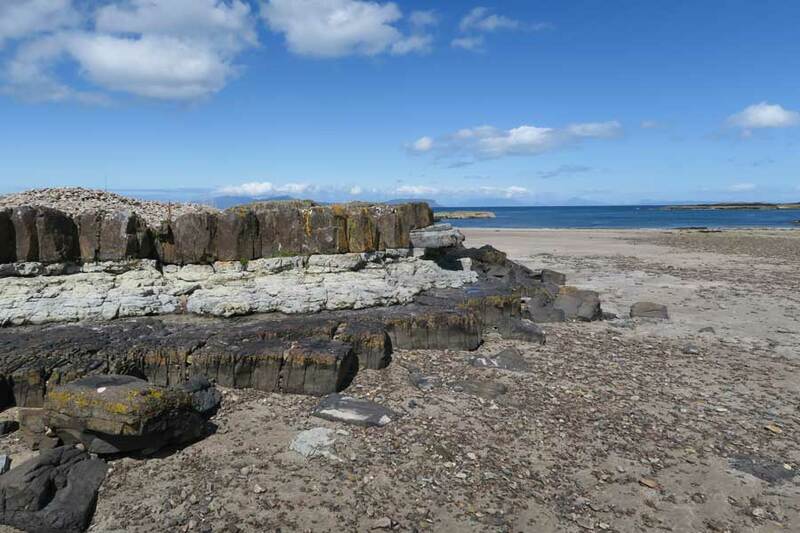 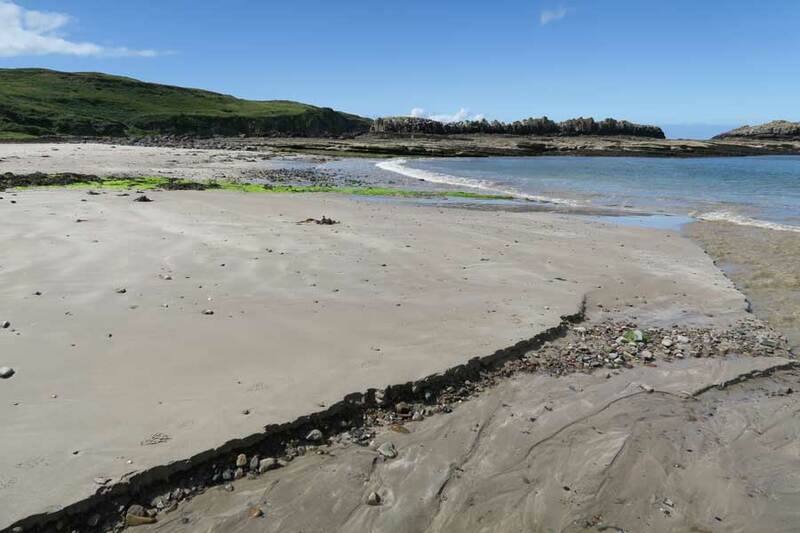 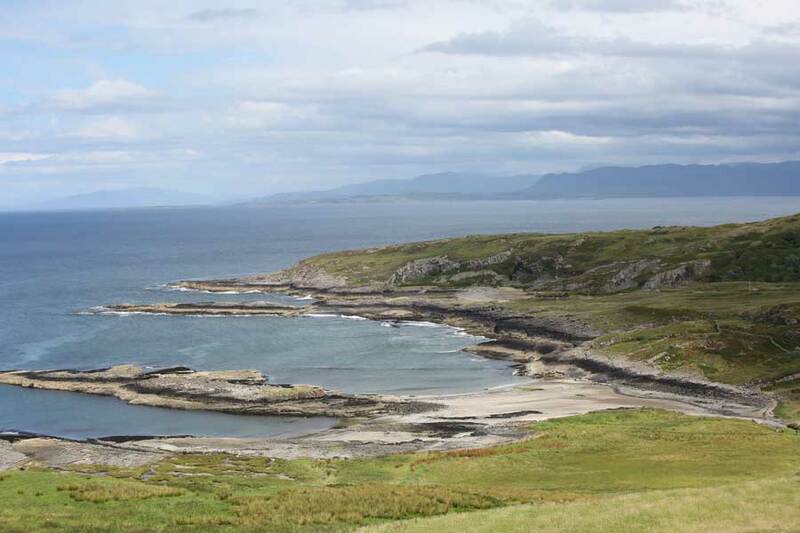 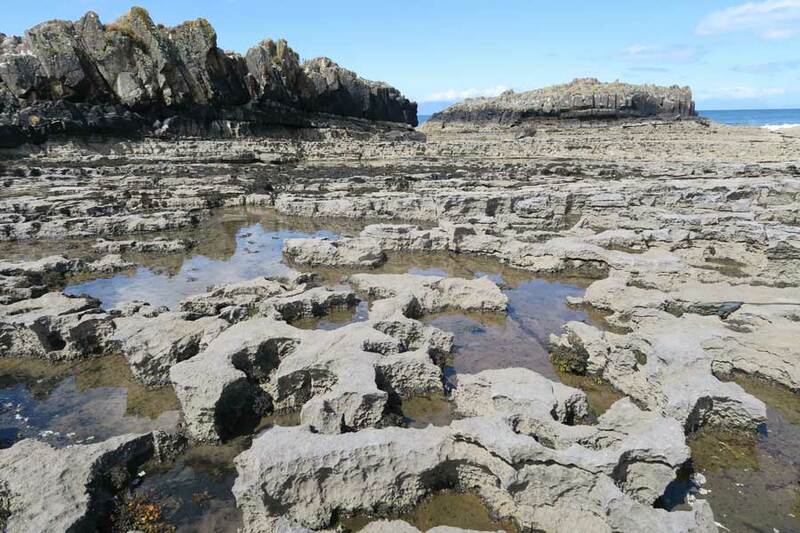 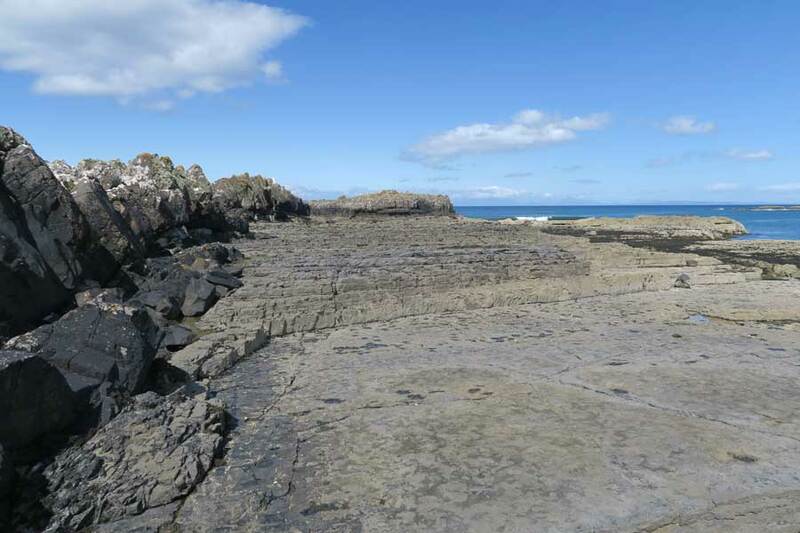 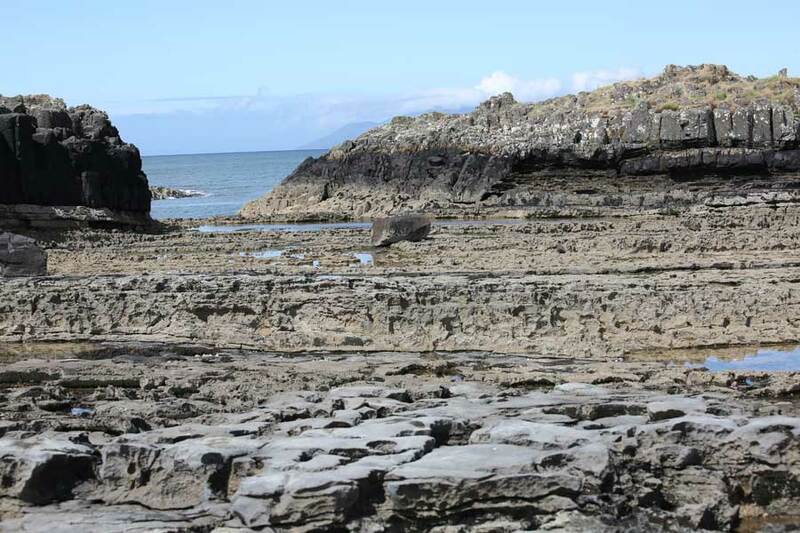 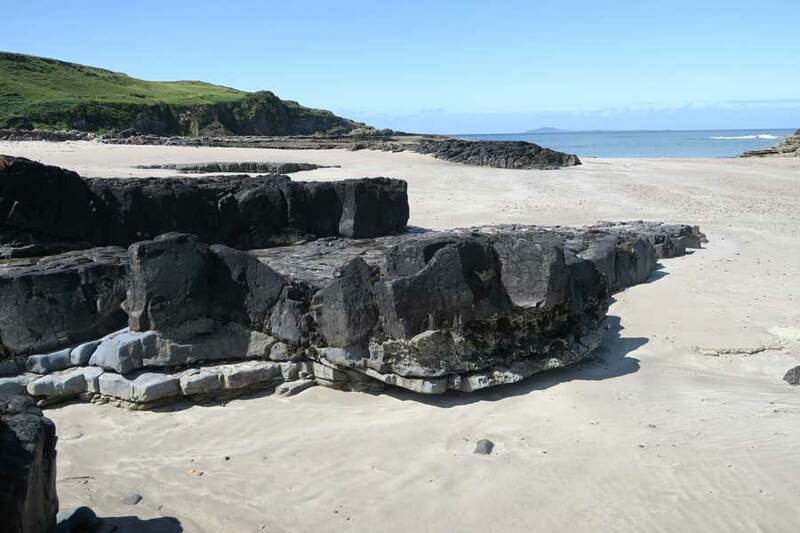 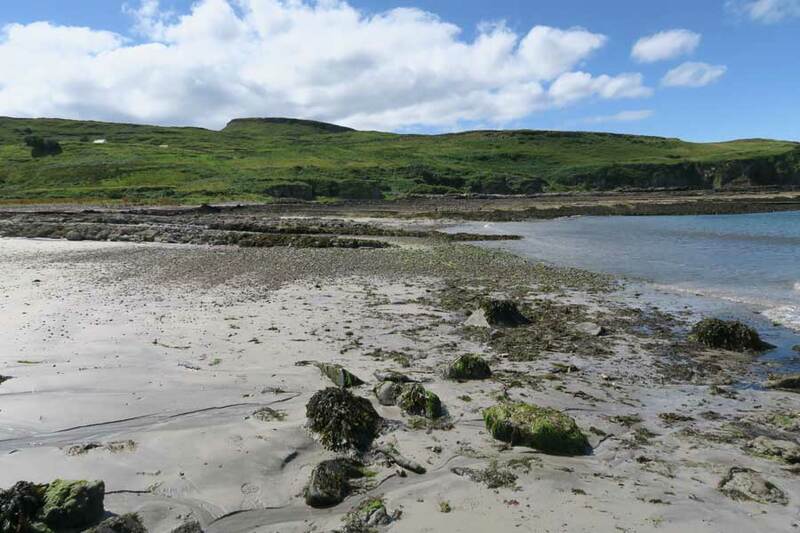 Swordle Bay is composed of Jurassic Lower Lias sedimentary rocks with an impressive lithographical contrast between the micaceous shales (Pabba Beds) and the limestone outcrops (Broadford Beds). 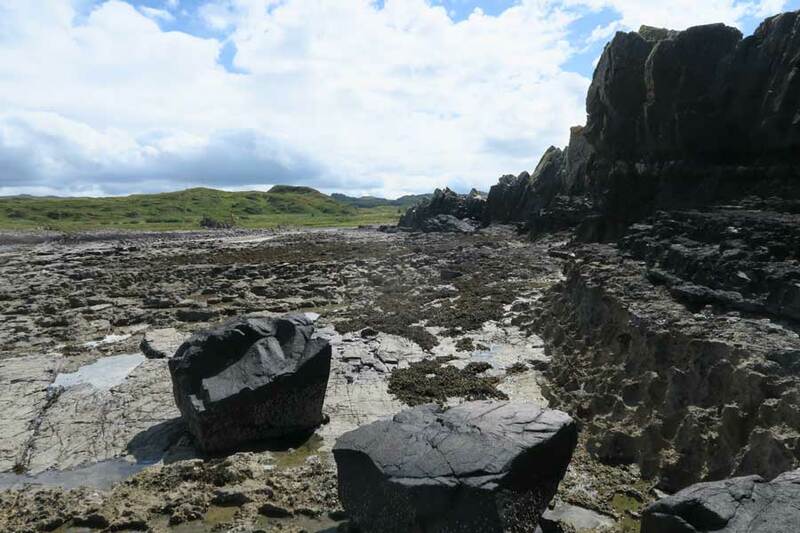 The dark finely grain mudstones, Pabba Shales, where laid down in coastal water 190 million years ago, whilst the older carbonate rocks date from deposition events over 200 million years ago. 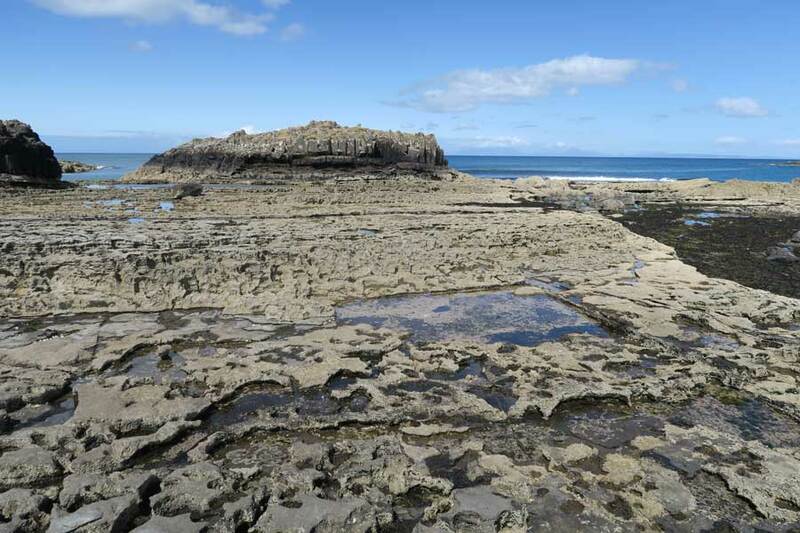 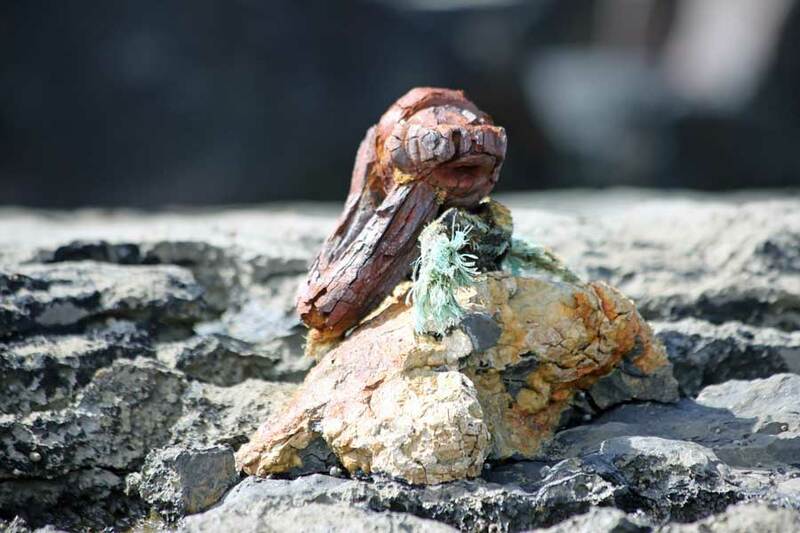 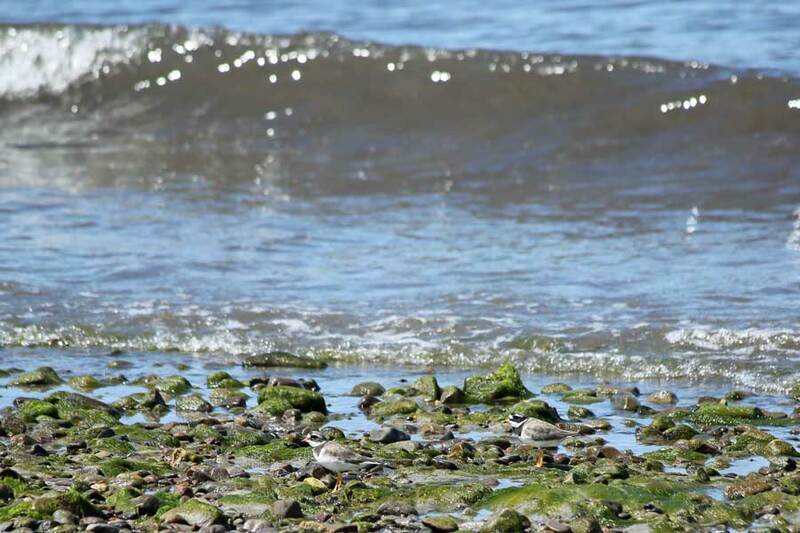 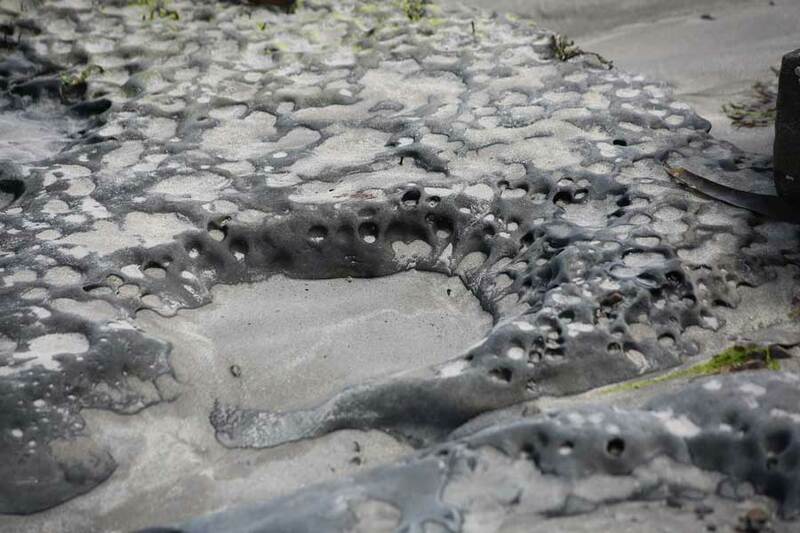 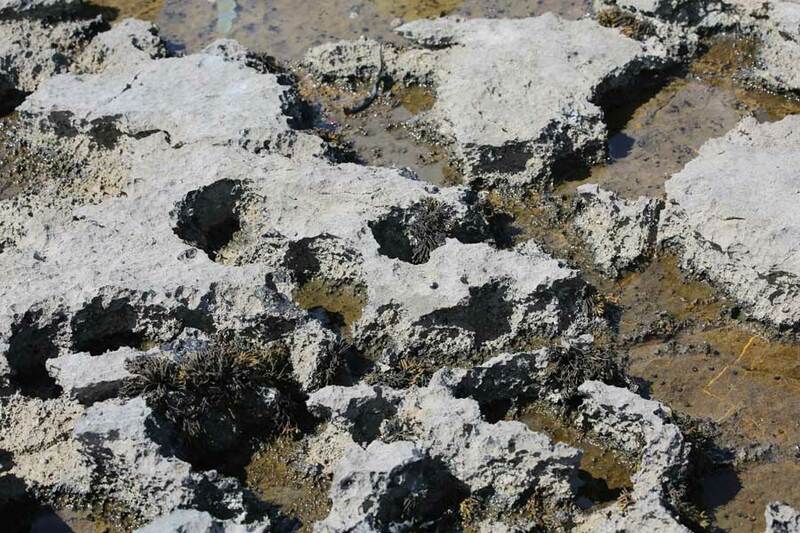 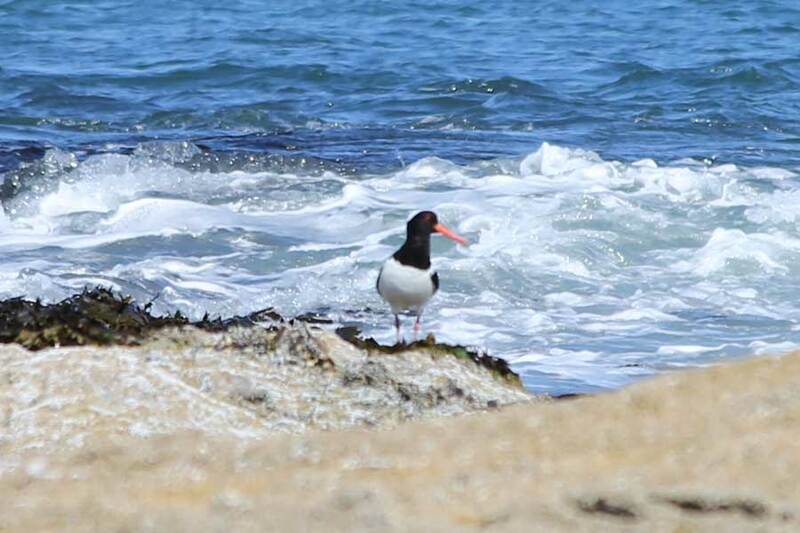 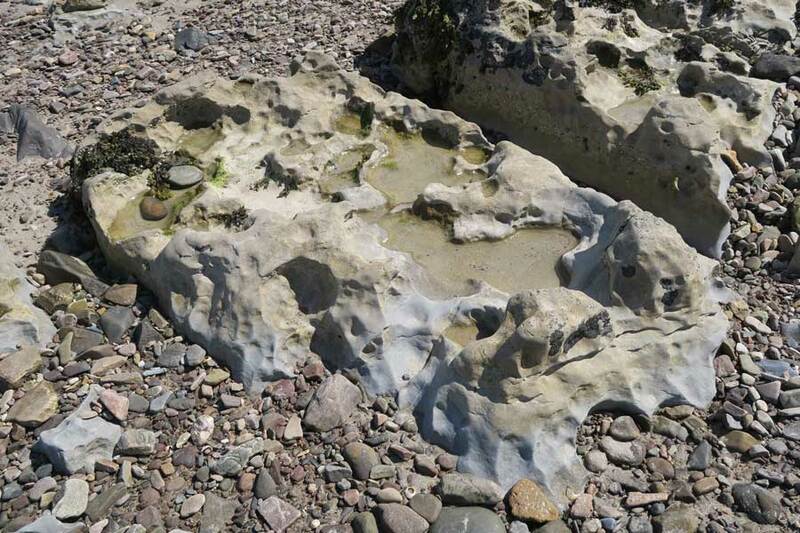 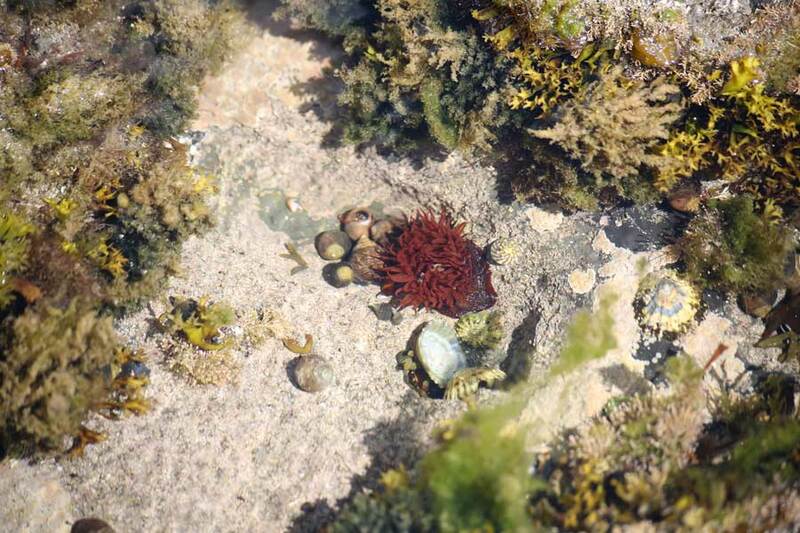 The nature and orientation of these formations provide good opportunities for rock pooling and searching for fossils. 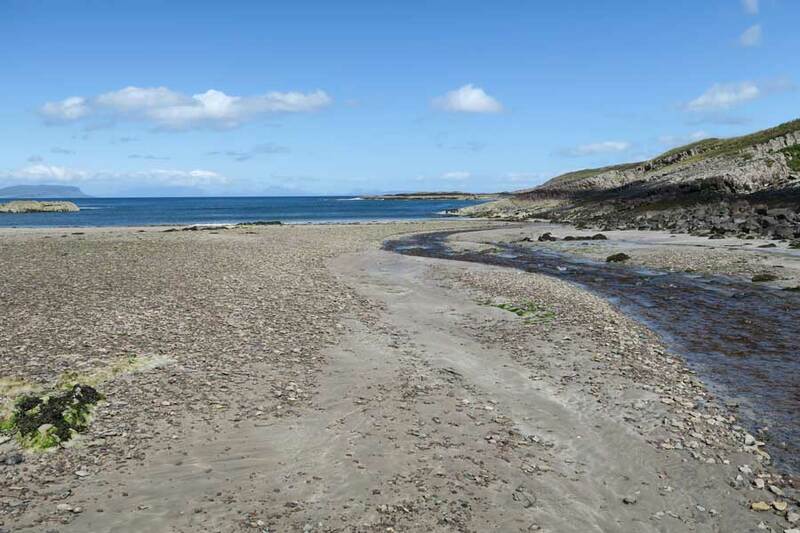 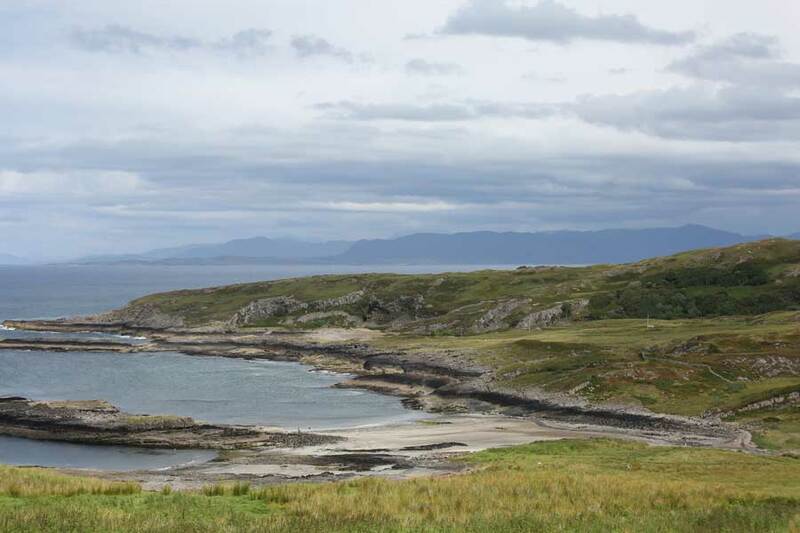 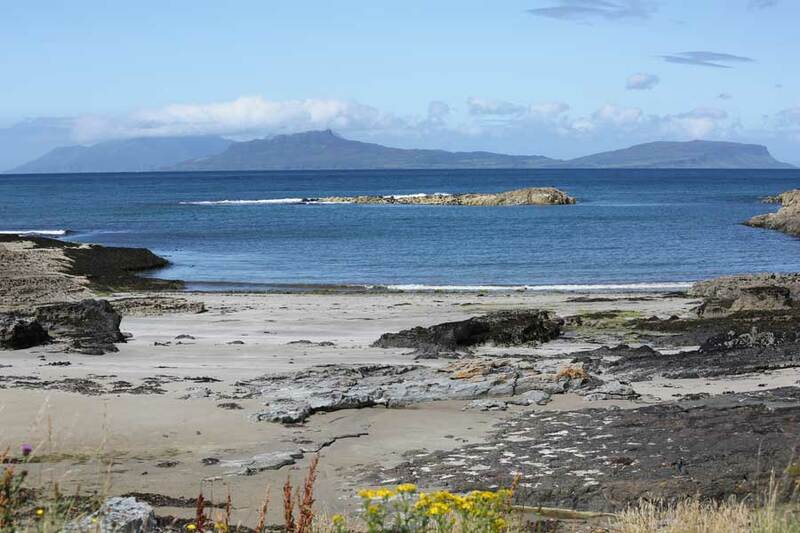 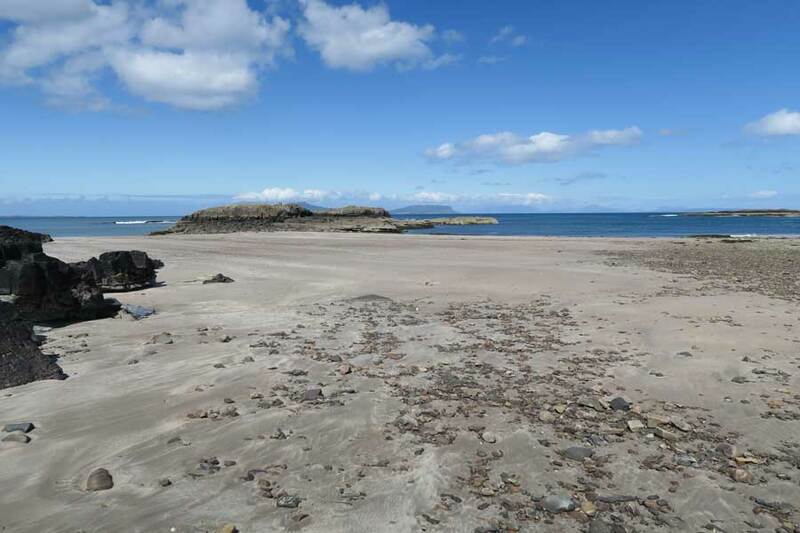 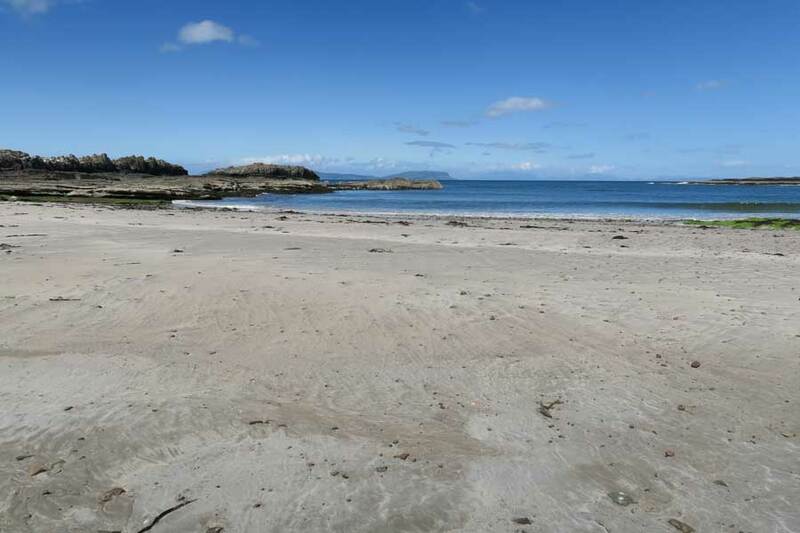 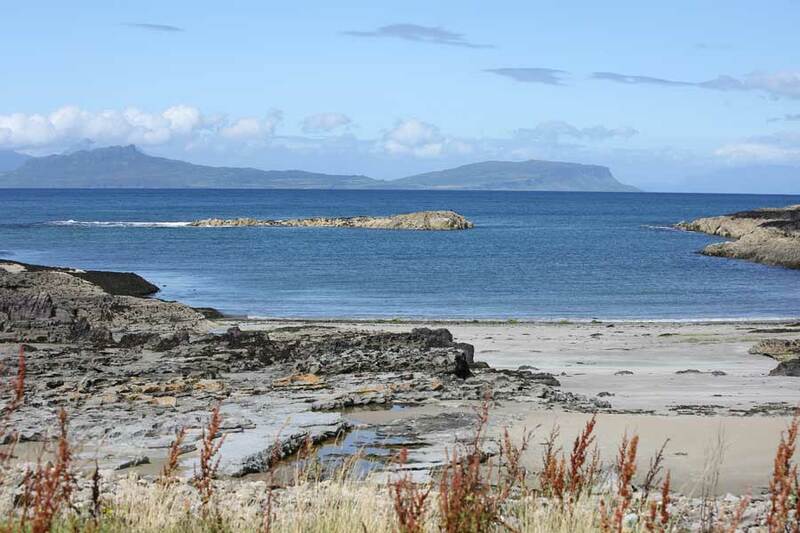 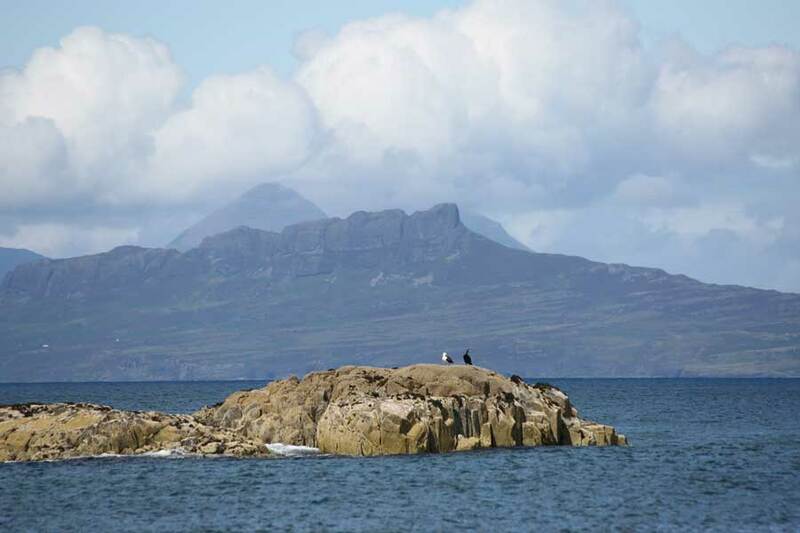 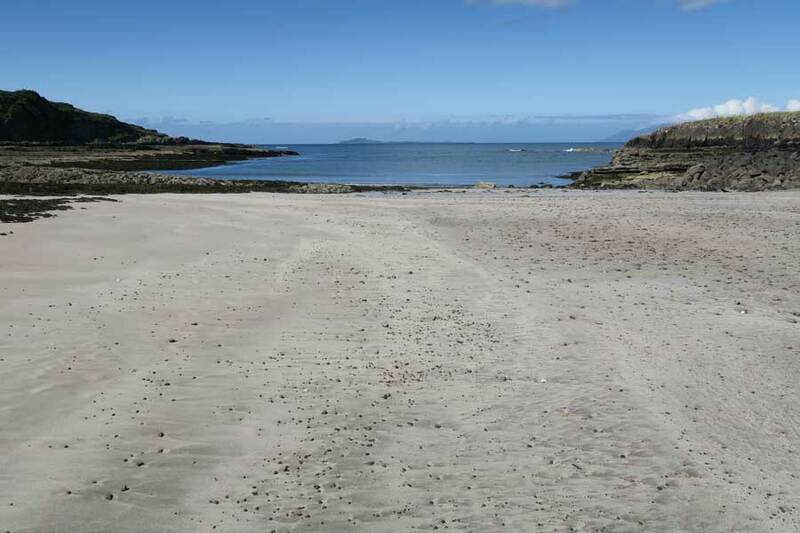 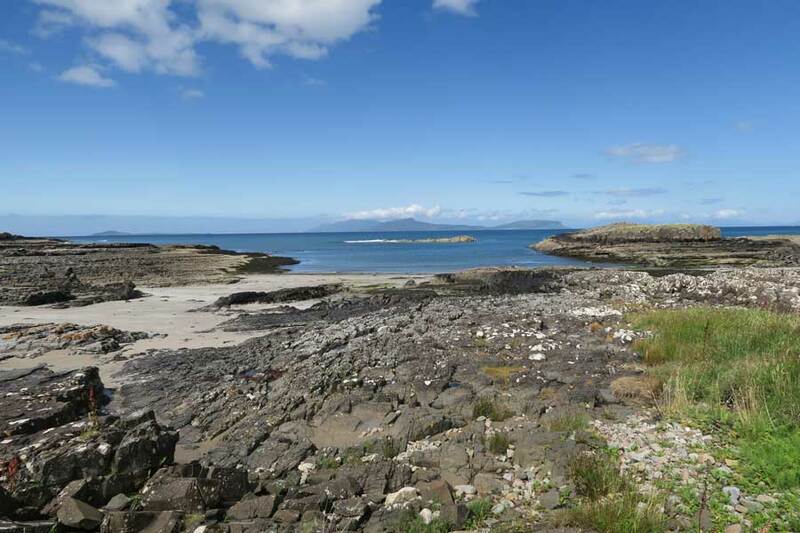 The white sandy beach at Swordle is a great place to immerse yourself in the wilderness of Ardnamurchan peninsula. 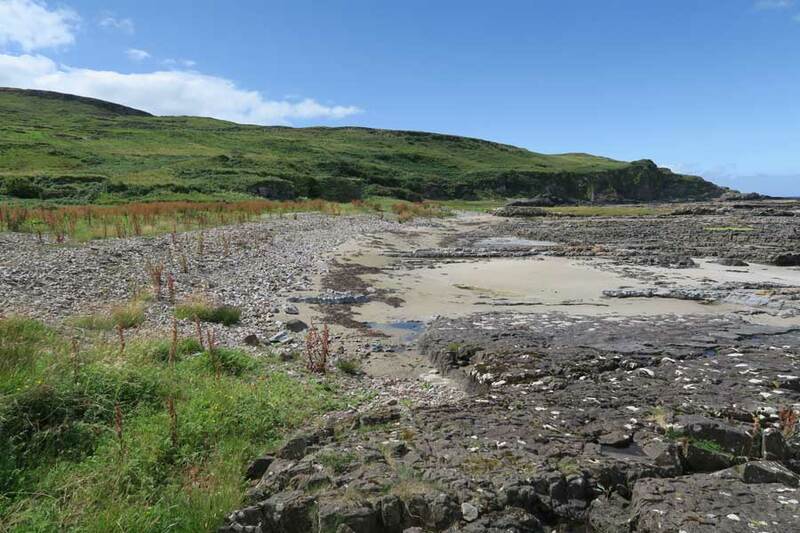 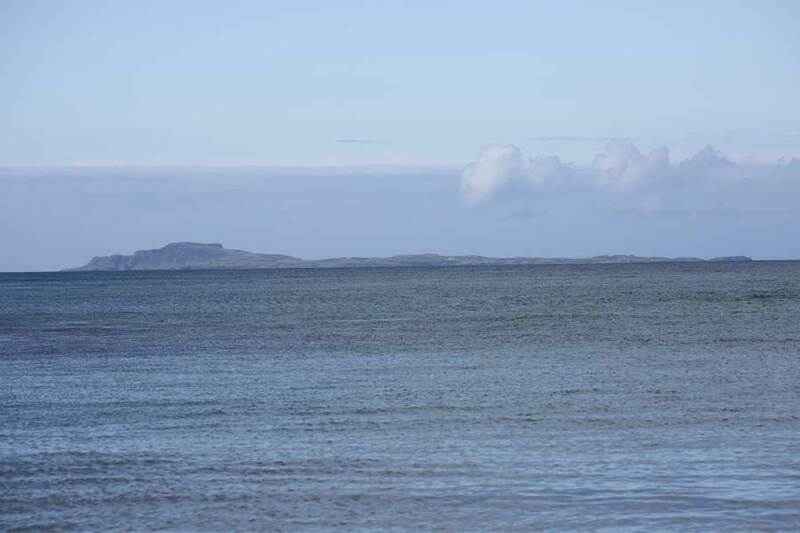 Swordle Bay and the surrounding hills have also been the subject of an ongoing archaeological transition projects with discoveries including Viking Boat Burial, Neolithic burial cairn, a medieval corn drying kiln and an ancient water powered mill. 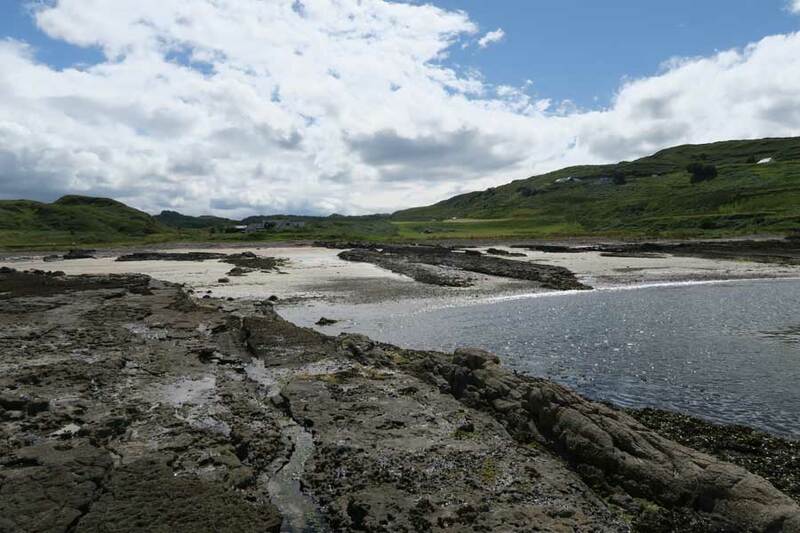 Take the B8007 towards Kilchonan. 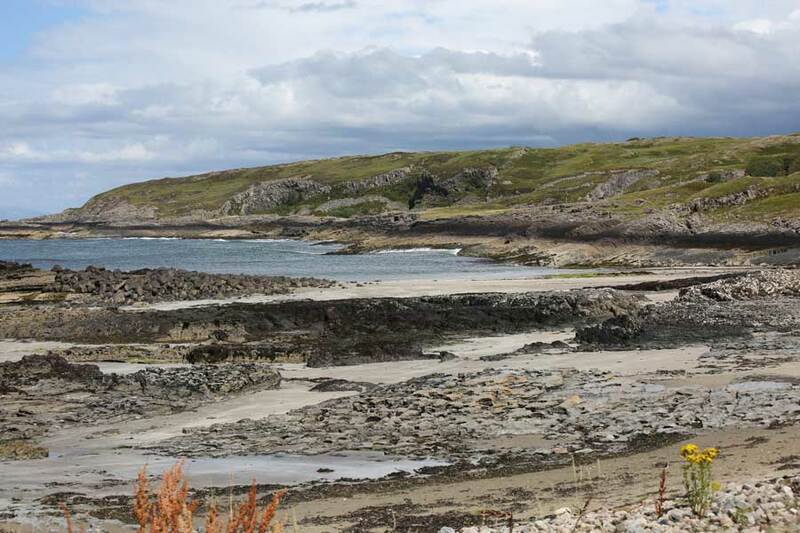 Once past Loch Mudle, take the signposted road to Kilmory and Ockle. 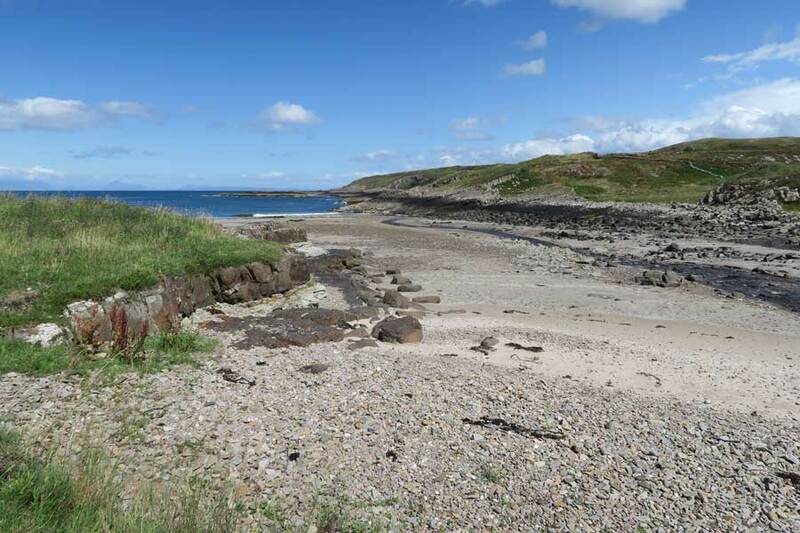 Continue towards Ockle and look out for a small track to Swordle farm (unmarked) once past Dun Mor. 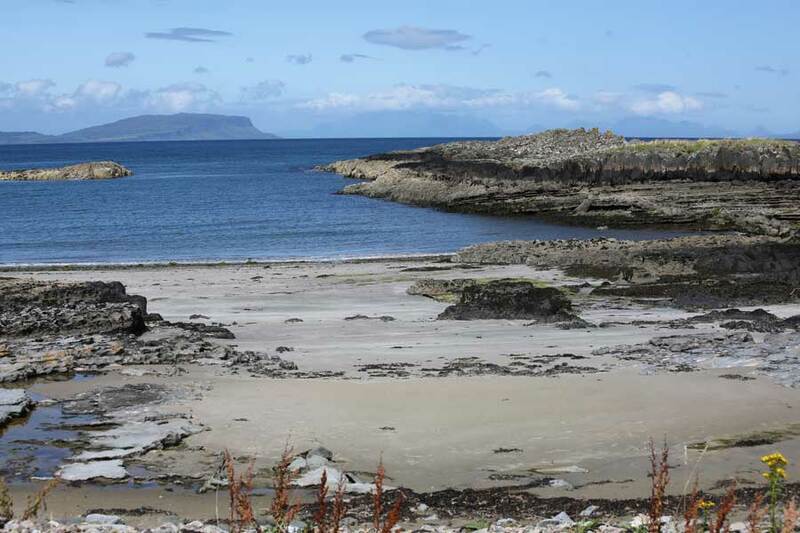 Park off road near the track. 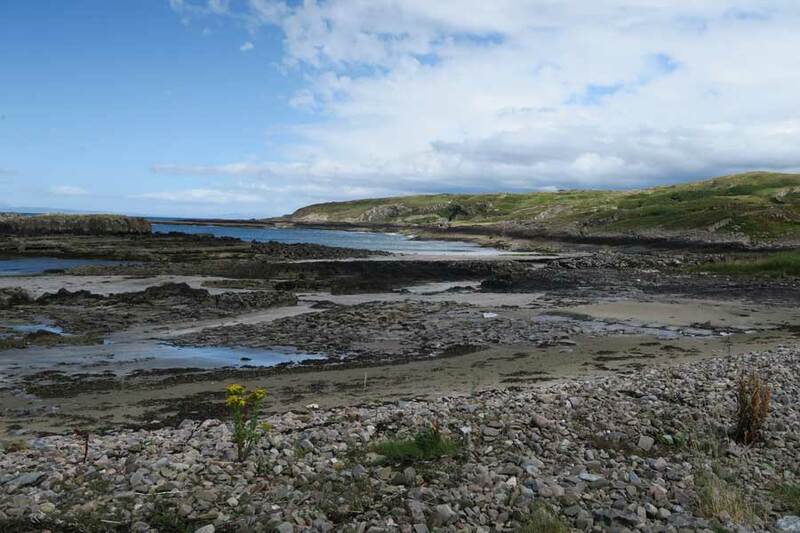 Swordle Bay is accessed on foot along the track to Swordle Farm. 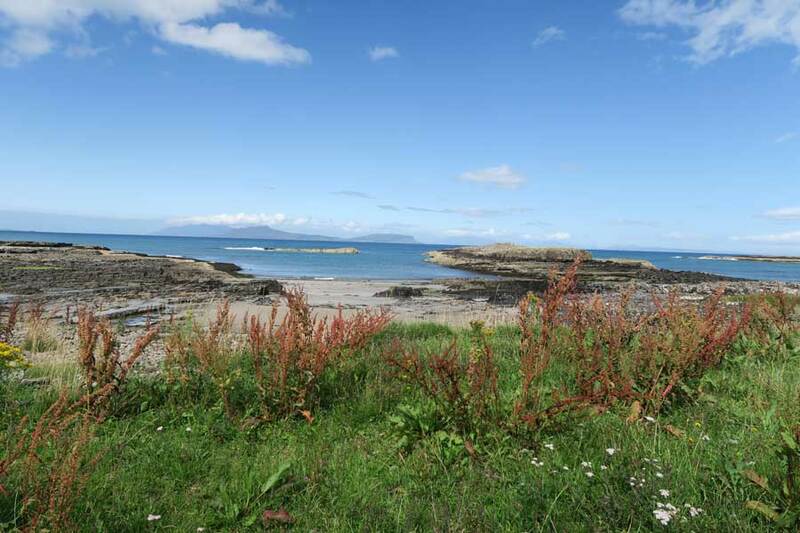 Continue by the farm house and outbuildings to the end of the track, passing through a metal gate by a house to access the lovely bay.